It hasn't always been this way, though. I used to not understand the mechanics of grilling, and always deferred the grilling responsibilities to my dad or Samuel. That changed about a year ago, when Samuel and I moved and inherited an almost-new propane grill. 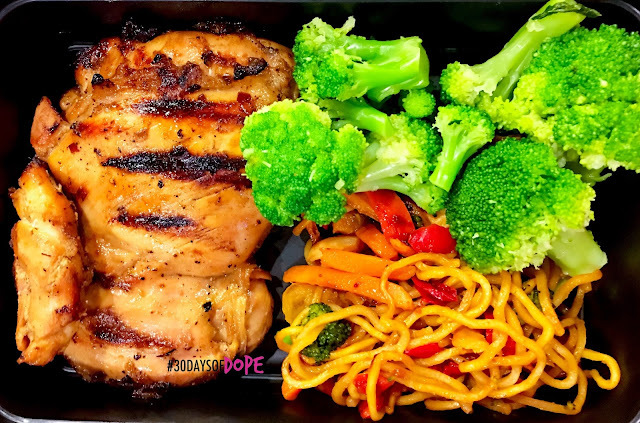 Around the same time, I got heavily invested in #mealprep life and grew weary of the number of pots, pans, trays, and oven racks required to prepare meals for two on a mass scale. A life-long member of team #LearnSomethingNew, I took up reading blog posts and watching YouTube videos about grilling from folks who would literally fire up the pit in 4 feet of snow. 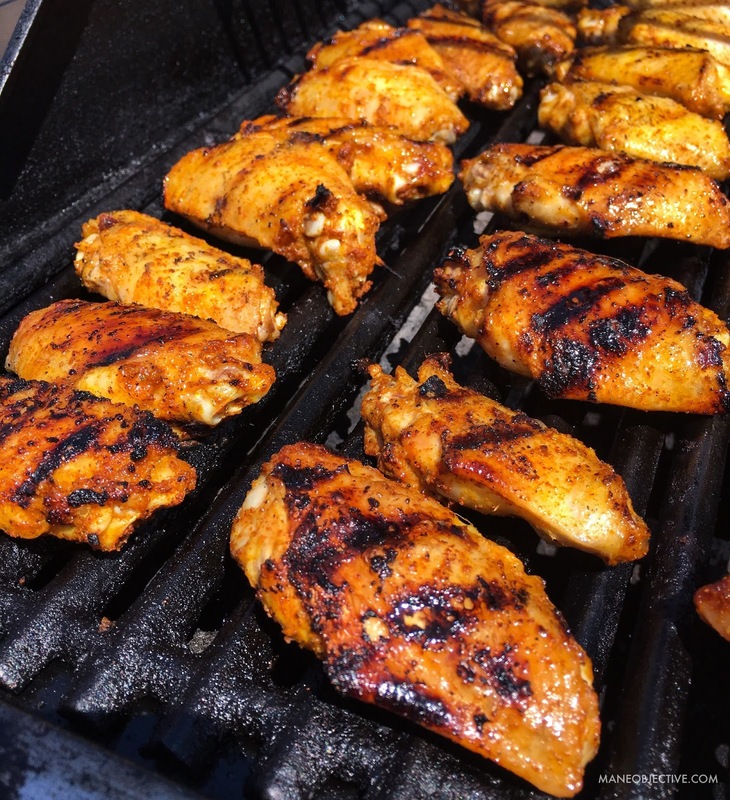 As I got more comfortable with propane and propane accessories (ha), I found myself tossing any and everything on the grill - from Chipotle chicken dupes to Habachi-style teriyaki, ribs, fajita veggies, and even cabbage. Yes, grilled cabbage is excellent. Not only does the grill help me cut down on the dishes every week, grilled meat can be pretty healthy too - and the flavor options are virtually endless. 1. Don't be afraid of dark meat chicken. Most healthy cooks and meal preppers will try to shove boneless, skinless chicken breasts down your throat, citing it's leaner fat content. You know what else breasts are lean on? Flavor and moisture. 😂Yes, dark meat has more fat. But it also has more minerals and nutrients - taurine, iron, zinc, selenium, Vitamins A, K, B1, B2, B3, B6, B9, and B12 - just to name a few. If you check my meal preps, you'll see that i gravitate heavily toward boneless skinless chicken thighs. One, because boneless meat is easier to cook thoroughly. Two, the thigh is my favorite piece. Third and most importantly, chicken thighs are very forgiving. Where chicken breasts can dry out easily, you'd have to completely neglect a chicken thigh for it to become inedible. If you're on grilling training wheels, chicken thighs or legs are the way to go and still walk away with something digestible, lol. 2. 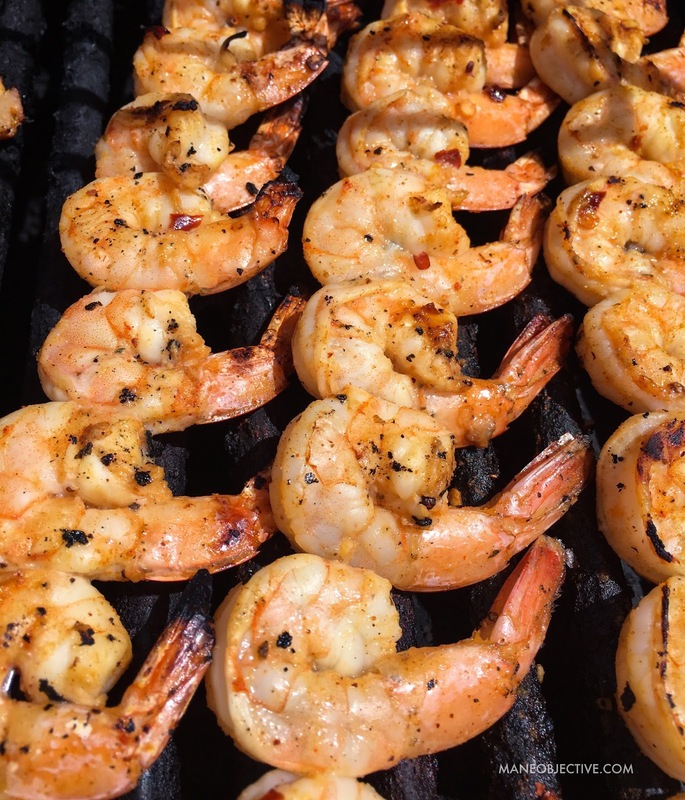 Cut calories with grilling sprays. Before throwing meat on the grill (especially chicken), I've seen plenty of folks coat the meat in anywhere from a few tablespoons to about 1/4 cup of oil. The reasoning is solid - the oil coating helps seal the meat on the grill and keeps it from sticking to the grill plates. However, each teaspoon of oil alone adds 120 calories. A tablespoon = 3 teaspoons. A 1/4 cup of oil adds no flavor and almost 500 calories. As an alternative, use a grilling spray or oil the grill plates directly to keep meats from sticking, for a tiny fraction of the calories. 3. Avoid pre-made rubs (or use sparingly). Many pre-packaged BBQ rubs are delicious, no doubt. But they also tend to be packed with salt and sugar. With a few minutes and some pantry ingredients, you can create your own rub that's lower in sodium and sugar - but equally as tasty. Try mixing up pantry staples like granulated onion, garlic powder, coarse black pepper, paprika, oregano, ground coffee, red pepper flakes, allspice, and chipotle powder to pack tons of flavor into your meat, then sprinkle in a little Himalayan pink salt and brown sugar. You can always add in pre-mixed rubs and seasoning blends, just make your mix the star of the show! Of course, some mixes are salt-free, and you can definitely go to town with those. My absolute favorite is 21 Seasoning Salute by Trader Joe's. 4. Use marinades instead of sugary sauces. I say this with a heavy heart - because I love me some meat covered in sauce. If you open my fridge right now, I've got everything from Bourbon BBQ to General Tso. But sauces have a dark side - a carby, sugary dark side that can make your calories add up faster than your total at Whole Foods. To curb my hankering for sweet, sticky sauces, I've turned to marinades - in particular, those I can make myself. Onions, garlic, and bell pepper make an excellent base for pretty much any flavor or style of marinade. If you want a low calorie leg up, check out Goya marinades - Pina and Mojo Criollo are my go-tos for adding an extra splash in the flavor department. 5. Try alcohol for a twist (proceed with caution). Speaking of marinades, another great low-calorie way to boost flavor is a splash or two of alcohol. Tequila pairs really well with citrus, while rum and bourbon are great accompaniments to oranges, pineapples, and peaches. Most alcohol comes in at 60-90 calories per 1oz shot, and you typically won't need more than 2 shots to add in your marinade mix. However long you've got. The minimum amount of time I'd recommend letting meat marinate is 1 hour. There is no maximum - but the ideal time is overnight. Either way, the results will be delicious. 7. Make foil pouches for smoked flavor. This tip comes courtesy of Mr. Samuel. One of the things that makes our favorite BBQ joints our favorites is the smokehouse flavor that flows from each bite. Mimic that same flavor without the need for an expensive smoker by making foil pouches. Simply pour some of your favorite wood chips into a piece of foil and either ball it closed, or fold it shut neatly. After the wood chips are secured inside, poke holes all over the foil with a fork or knife and place the smoke bombs inside your grill. This helps give smoky flavor without the wood chips fizzling and burning immediately. 8. Baste as you go! If you marinate your meat, you'll immediately see some of the seasoning you worked so hard to perfect wash off. Don't worry - it's not gone forever. Once your meat is on the grill, pour the excess marinade into a large cup or ziploc bag, and grab a measuring cup (or sauce brush). As your meat cooks, use the extra juice to baste that flavor on the meat. But because you're dealing with juice that touched raw meat, stop the basting process 4-5 minutes before you're going to pull the meat of the grill, with the most recently based side on the fire. 9. A grilling pan is your new BFF. 10. Grill, then hit the oven. Want meat that's tender and juicy, but still tastes like the grill? After grilling, put your meat in a Pyrex dish or pan, cover with foil, and let it chill in the oven on 220-260 degrees F for about an hour. The low heat and the juices from your meat will create a tenderizing steam that makes your chicken, ribs, and beef fall-off-the-bone delicious. Will you be hitting the grill this summer? Share some of your tips and tricks in the comments below! We can all learn from each other! Eating healthy means staying healthy. Either you are vgetarian or not, the nutriton is same for all type of eaters and it easily availabe. Just figure out what you want and you will get the bunch of health and taste all together. In summers it really important to eat appropriate and health suitbale food so that you could stay fit and enjoy that awsome weather and food equally. So must go for such amazing recipes. I too am a grill-aholic. To decrease my need for sprays or oils I use grill mats to keep my meat from sticking to the grill. Live your tips on marinades, I’ll be encorporating that into my routine.